We had a spring break on the double garage door and the car was stuck inside. Barcol was quick to respond, on time and fixed it right. We were so happy with them that we called em to replace the entire opener not long after. 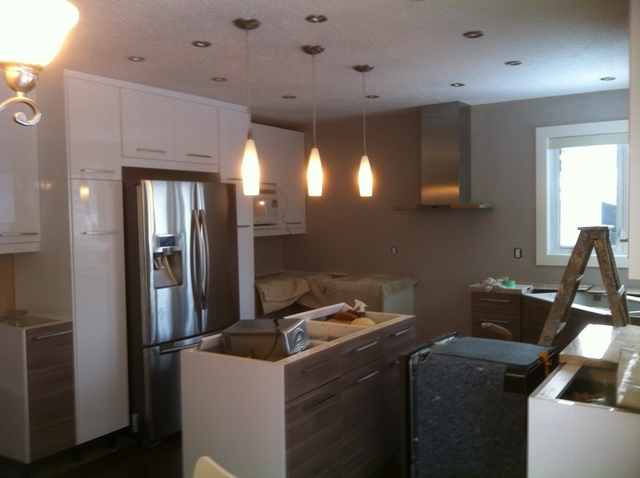 We found young renovations professional and we feel our project was very well completed to a very high standard. Our only issue was the delay in starting our project by about two months, but they more than made up for that in addressing all our issues when they were here. We were happy with this company. Thank you for your review Miep, great client. Will work for you and your family anytime. We had Ecoline replace 6 basement windows in our home. We appreciated the process. Alex made sure we understood exactly what was to happen on the installation day. There where no surprises. The full service, including the painting of the new trim, and protecting of my floors and the cleanup was icing on the cake. We are very pleased. I love that this company was able to deliver triple pane windows with an extended jamb that were brickmolds for the basement. Other companies tried to tell us we could only do double pane inserts. Glad we kept calling around. Also, the turnaround time for delivery and installation was great. Only about 5 weeks to wait. Finally, the price was in keeping with the average and communication (keeping us informed of the process) was superb. We had Alberta Wholesale Fireplaces install a gas insert in our basement and we found them to be a good company to work with, especially after the headaches we underwent with another fireplace company. We were a bit slow to get going on the project, and are dealing with some backordered parts but on the whole, dealing with Jodi, Steve and the installers was a good experience and we would do it all again. We came across Apollo at the Home show and saw their prototype for a glass topped pergola and were very impressed. WE now have our very own 12X20 foot glass topped pergola and it looks amazing! Apollo was great to work with. Mike, the project manager made sure we were fully aware of any happenings and Damon and Josh, our installers were friendly, reliable, and knew what they were doing. 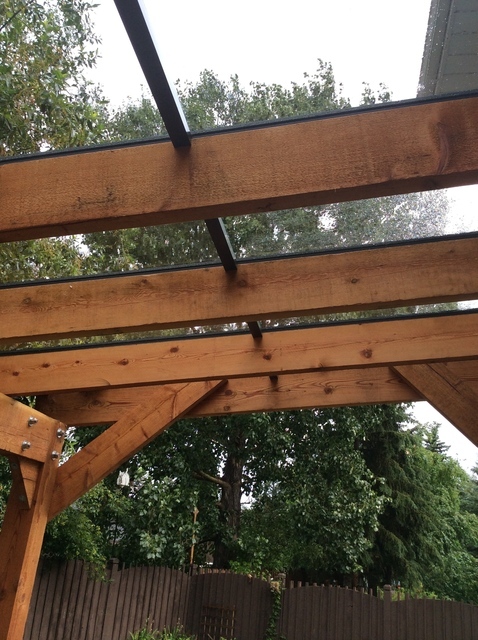 We are working out a few kinks with the pergola roof design and again, Apollo has been top notch as we make this the best addition we could possibly have on this house! We would not hesitate to recommend Apollo to friends and family and will be working with them again in the future. Although they warned me that their wait time was very long (14 weeks+), they were pleasant, courteous and quick to address any questions I had. When Jerry came to do the install, he was also very pleasant and worked hard to get our eaves on, and to make sure all my concerns were addressed. They look great and we feel confident and happy with our purchase and with the dealings we had with Nick, the estimator, and Jerry, the installer. We bought our appliances through Matt at Trail, and although I don't love that you have to essentially barter for prices, I do feel like we got nice appliances for a good price. When my fridge actually went on sale within a month at a better price than what I paid, they refunded me the difference without a fuss. Their service technician (whose name escapes me, maybe Russ?) was great when we needed some minor warranty issues dealt with on the fridge as well. All in all, I would buy at Trail again, but do your research before accepting a price! We came across First Call at the home show and bought their duct cleaning package. A few weeks later our water heater burst and we called First Call in a panic. They sent someone out and supplied a temporary electric unit to tie us over until they put in the new water heater and didn't even charge us for that! I asked that they check out a weird noise the furnace made while they were here and they were able to fix a failing gas valve for us as well. Straightforward and honest, fairly priced and above all, very friendly and helpful staff, from the owner/estimator, to reception and to the installers. They are a proud team and I can see why. I would highly recommend them. I have not felt this good about a business in a long time. Thanks especially to Dave, Dan, Jordan and Brett! Thank you for your kind words and we are very pleased that you were happy with the service you received. 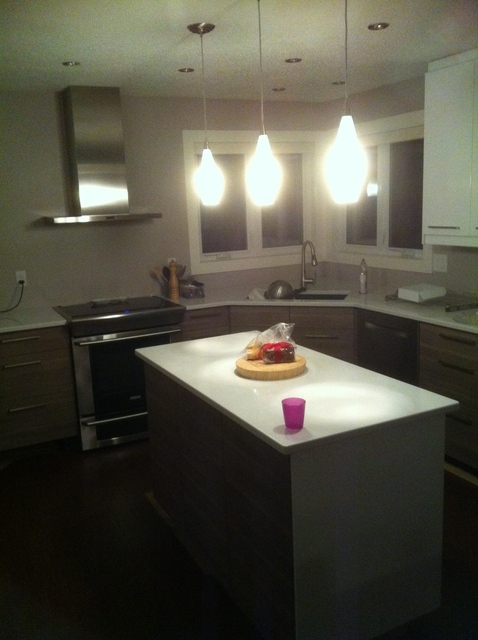 World Stone supplied the quartz countertops for our Ikea kitchen after another company messed up. World Stone was awesome to deal with right from the very start. 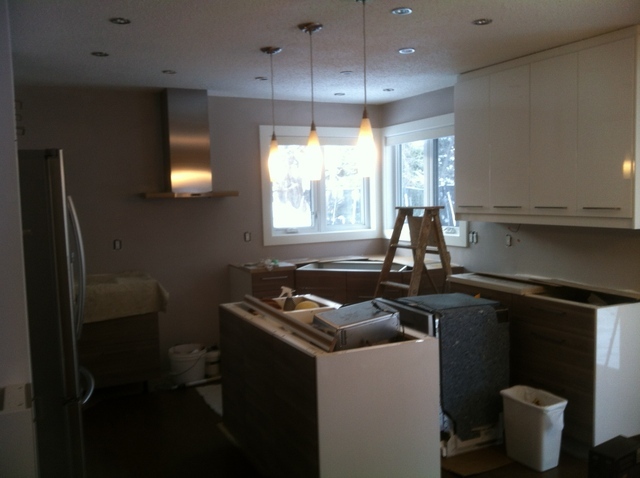 We were told that they had no production slots available before Christmas but that they would try, and they came through, installing beautiful perfect countertops on December 23rd. Made our holiday! The templating was professional and fast, they had me sign off on proofs and the installation took just a few hours. The installers took care to protect my floors as well. Everyone was professional, helpful and great to work with. I look forward to working with this company again in the future. We wanted to reach out and thank you for your kind words! We loved working with you as well, and look forward to the opportunity to work with you again in the future. We hired Nick's Woodwork to redo a bathroom and build a deck at our previous house and when it came time to redo the kitchen in the new house, we didn't hesitate to hire him again. We added in the laundry room halfway through the job and he accommodated as best he could and the final result is great! Nick was able to deal with all aspects of the renovation, and his workers were friendly and on time. Any issue that arose during the process was addressed by Nick straight away and we felt confident in a job well done. We will be hiring Nick's Woodwork for a deck project and basement development in the coming year and look forward to working with them again.